You are currently browsing the tag archive for the ‘Danny Boyle’ tag. The Oscars are less than a week away and we’re taking a look at all the categories we care to. Today it’s Adapted Screenplay, whose nominees are all also Best Picture nominees. Oh, I am assuming I will need to write more about this category. Ok. First, Aaron Sorkin writes dialogue better than anyone else out there – bar none. Let me qualify that, he writes dialogue for smart people better than anyone else out there. Sports Night and The West Wing are two of the best television programs ever made. The largest reason for this is Aaron Sorkin and his writing. The Social Network owes pretty much all of its appeal and positive criticism to Sorkin’s script – and it is well deserved. Sorkin’s trademark rapid-fire dialogue is present in all its glory, but is supported/ enhanced by his artful telling of this story. I liked the back-and-forth of depositions and actual story, mainly because Sorkin was able to do so smoothly and keep the story moving at the same time. 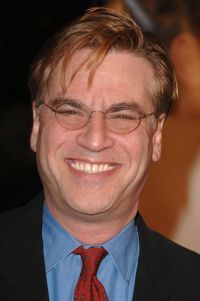 The biggest compliment I can give Sorkin and his script is that I really enjoyed the movie, and that is as someone who hates Facebook and is unimpressed by David Fincher (so that is pretty impressive). As the only Grouch to really enjoy True Grit, I throw in a few words about the Cohen brothers’ script. A minor spoiler is that they modified the story slightly from the original. At first I was a little worried about it, but that quickly changed. I thought they did a great job with both the changes and the script as a whole. The story moved, the changes were largely relevant, and the dialogue was entertaining. The only thing they failed miserably on was the ending. I stated before that the glaring failure of the remake was the ending. While I liked the Coen brothers’ version a lot better, the ending was far inferior to the original’s. All in all, though, I definitely think they deserve to be nominated and their script ranks second in my mind. I honestly don’t have a lot to say about the other movies nominated. I liked Winter’s Bone’s story (surprisingly enough some of the scenery/ characters reminded me of home). There were definitely better movies made in 2010 and better scripts, but I am not angry about its nomination. Toy Story 3 was fine. Not great, but fine. I laughed some, and didn’t hate that I watched it. 127 Hours is pretty much in the same boat. All in all, we have an extremely strong script, a strong one, a decent one, and two weak ones. Not the most impressive bunch I’ve seen, but, for the Academy, I’d say this is a pretty good showing. I was pretty proud of myself for describing the dialogue in the Joel and Ethan Coen’s True Grit screenplay as “Runyonesque”, so I’ll stick with that. Which makes it a little surprising, then, that I didn’t like the film more, given how much I like Damon Runyon. Here’s the thing, though. Runyon’s dialogue serves interesting characters doing interesting things. The Coen’s dialogue serves kinda interesting characters doing terribly uninteresting things. So while at times it was a welcome distraction, a Western can very rarely be entertaining because of the talking in it. Brian makes an excellent point about Josh Brolin’s Tom Chaney (there’s a Washington Senators dying to be made here): That’s it? The man was on screen for what, three minutes? This film was a road trip movie, and not a particularly good one at that. There were lots of good things about Winter’s Bone. The cast were all pretty interesting. The look of the film felt great. And it was refreshing setting for a movie for a script. And while the script was certainly the genesis of all that, I personally want to see a little bit more from my Oscar nominees. I’m not sure I can point any one particularly weak part of the script, just not sure I could point to any one particularly strong one, either. The plot seemed almost like a procedural in nature. Jennifer Lawrence’s quest was, at times, very linear. The sparseness of the script certainly matched the locale, but I tend to need more. I’ve said it before and I’ll keep harping on it, I don’t understand all this love for Toy Story 3 and would be much happier if people replaced How to Train Your Dragon wherever I see the former. OK, yes, the scene at the end got the room a little dusty. But otherwise it is just the toys being placed in crappy situation after crappy situation. I didn’t see the heart or wit that were the hallmarks of the first two films. I’m not suggesting this film was bad, just that people are perhaps lauding it with praise left over from 1 and 2. 127 Hours is perfectly adequate. The script is generally taut and engaging, though it may rely a little too heavily on the dream sequences. Especially considering it really is a one trick pony: a hiker gets stuck and (SPOILER ALERT!) cuts off his arm, the end. It is hard to envision how that simple story could make for a compelling story, so kudos to Danny Boyle and Simon Beaufoy for turning in a relatively interesting screenplay. Clearly though, Aaron Sorkin’s script for the The Social Network is tops here and it isn’t particularly close. Thank goodness it qualifies as an adapted screenplay so there’s no chance of it losing to the juggernaut that is The King’s Speech. 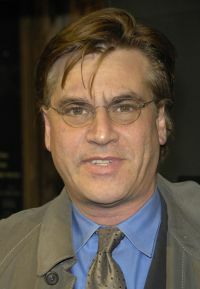 From the opening seconds of the film, you know you are in for something uniquely Aaron Sorkin. And something amazing. I undoubtedly felt, while the movie was still going on, that I was watching something epic. I think it is mistake to take the film for something grandiose, like generation-defining. But that doesn’t make the movie any less enthralling, filled with clever lines and fascinating scenes. Sorkin’s screenplay is the best one of the year, and maybe the best we’ve seen in awhile. Another decent slate, though marked with films whose strongest elements were outside the script, in my estimation. 127 Hours is all fast cuts, splashy camerawork, and terrific acting. The story is fine, but it achieves what it does through the ways Danny Boyle chooses to visualize it. Toy Story 3 works quite well. I can only say it didn’t build up to something as delightful and emotional as most Pixar movies for me. It is still quite humorous and clever with Mr. Tortilla Head one of my favorite gags of the year. I think True Grit is full of great language, strong characters, and a decent story, but the performances and technical work stand out more to me. Winter’s Bone is a strong second place, particularly in its characters. But it succeeds on atmosphere, which is a lot more than what’s on the written page. I follow my colleagues with a resounding decision for The Social Network. When people think screenplays they think dialogue and Sorkin has a great way with words. But let me also draw attention to the film’s flashback structure, which really allows its themes to unfold. Or the drama and humor in the plot. This is more than just Sorkin walk-and-talk pizazz. Snub: I think Fair Game would have found a good home here. Oscar nominees are announced on the 25th. Yay! So let’s summarize what we (the royal we, at least) know. Keeping in mind, of course, that when it comes to the Academy, no one knows anything. Especially me. This time: Best Director. Confession time: I don’t really have any clue how to discern exactly what the director’s contributions to a film are. And I don’t think many other people know either, other than a general assumption that good movie=good directing. People are saying that David Fincher was exactly the director to make Aaron Sorkin’s script shine. Maybe that’s true, I just hope the evidence is stronger than that regatta scene. This’ll be Aronofsky‘s first Oscar nomination, an honor for which he’s probably overdue. I don’t really see what others do in the movie, but given the script’s weakness, sure, I’m happy to pass some credit to the director for elevating the film into something better. I really liked The Damned United, and the film was different enough from the book that I’ll begrudgingly pass some credit to screenwriter Peter Morgan and director Tom Hooper. His follow-up, of course, has been a bit more successful. I look forward to seeing his work in the future and I imagine that’ll only increase once I get around to watching Prime Suspect. Like everyone else, I do believe there’s a spot for Nolan, I’d just feel a little more comfortable if the buzz for the film was a little more palpable. Still, it’d be shocking if he gets snubbing after creating such a visionary, successful film. I’ve always heard that if you can’t say something nice, you should shut your big fat mouth. I was really tempted to put the brother Coen in that last spot, but since I haven’t seen that anywhere else, I figured it is just my bias against that film in the fifth spot. The Academy loves them some Coen Bros, but they do only have the one directing nomination (for No Country for Old Men, which they won). I dunno, I won’t be surprised at all if they get the nomination. The claustrophobia of 127 Hours sure is different from the vastness of Slumdog Millionaire, huh? Maybe Boyle‘s film was released just a little too early to hit at the Oscars, or maybe it wasn’t quite as good as originally expected. I hope to see Lisa Cholodenko get a directing nomination someday, but this year is just so tough, with so many well-respected auteurs in line to get their due. Affleck‘s two for two in critically acclaimed directing successes and this one even made a nice chunk of a change. This kid may just have a career in the industry. After what Down to the Bone did for Vera Farmiga and this film did for Jennifer Lawrence, if I were an agent with a starlet on my hands, I’d be busting my balls to get her an audition for whatever Granik has next on her plate. As I mentioned elsewhere, it is always dangerous to count Mike Leigh out with the Academy. But maybe next time he should make sure his film’s trailer doesn’t make it seem like the most boring film ever. Shutter Island just edged out The Departed as Scorsese‘s highest-grossing film (in worldwide dollars). What, now that’s he mainstream the Academy has no use for him? Would You Take A Few Hundred Grand? I’d been eagerly anticipating Slumdog Millionaire for some time. Normally I try to temper such expectations, but heck, last year Juno would have been my preseason favorite and it ended up one of my top films of the year. If we catalogued such things, Slumdog Millionaire would have been my preseason pick this year. Unfortunately, I would have picked incorrectly. I did like the movie, and I’d feel comfortable recommending it to just about anyone. Structuring the film around an episode of Who Wants To Be A Millionaire framed things nicely. Maybe not the most sophisticated of techniques, but one still inspired nonetheless. Along with Quiz Show, Starter for Ten (like I’ll ever get off that horse), it forms a nice triumvirate of movies with a trivia game show as at least a subplot, and I think I speak for all bar trivia-goers in suggesting that Hollywood would do well to churn out a few more. Mostly, though, I just don’t have anything to say about the film. It didn’t affect me as much I thought (or hoped) it would. The central romance was fine, but I don’t think Simon Beaufoy (the screenwriter) or Danny Boyle and Loveleen Tandan (the co-directors) did a great job establishing the connection between Jamal and Latika. A few more shared scenes wouldn’t have hurt, perhaps. To me, it seems that Jamal longs for Latika because she’s the only girl he’s ever met. And Latika wants to be with Jamal because…he’s on the outside? It isn’t entirely clear. The film doesn’t really have a main character, not if you count current, younger, and youngest Jamal as separate characters. Which makes for an interesting ensemble. But, emblematic of the movie as a whole, most of these characters deserve to be better fleshed out. Jamal’s brother Salim, for example, is barely sketched out in all his incarnations. And really, Salim’s actions drive the plot at least as much as those of Jamal. But the reasons for Salim’s pivotal shifts tended to be too subtle. Latika herself is more of an object for Jamal than a filled-out character. I did, however, really like the game show host, and thought his character was very well done. In a nutshell, the movie just felt a little too distant, too hesitant to starkly dive into anything. I found it too muted to really blow me away. That’s not to suggest I found the movie anything less than enjoyable. I just didn’t think it managed to break through and become something special or memorable. A few side notes: John and I were wondering if there’s some sort of law requiring Irrfan Khan to be in every movie with a U.S. wide release and is set in India. Not that it would be a problem, because he’s pretty great. Just curious. Also, I think Slumdog Millionaire just adds further proof to the notion that every movie would be better if it added a song and dance number. And Freida Pinto is really pretty. Just throwing that out there. And finally, I’m curious to see if Dev Patel ends up with a Supporting Actor nomination. Going for him is the movie’s current status as a seeming near-lock to get nominated (and possible favorite status to win the whole shebang) and the lack of any other actor from the movie to nominate. There’s also a relative dearth of name actors and juicy roles under consideration. (The Golden Grouches underground campaign for Bill Irwin notwithstanding.) The catch may be that his is a sort of nontraditional supporting character, in that the movie is really about him. Additionally, Jamal’s character traits are more those of a main character (likable, gets the girl in the end, plucky, underdog). Could voters not vote for him, thinking he belongs in the best actor category, and instead go with someone in a more standard supporting role, like James Franco or Eddie Marsan? The heavy hitters of this year’s Oscars have just started passing through town, so I can’t really compare Slumdog Millionaire to other Oscar bait. In a sense, I feel the same about the film as I did about The Departed. Both are perfectly fine movies, but I don’t really understand how anyone could consider them the best of anything.